How do we rate his value against a Grundy or a Gawn ? Nank is still young what can he change in his game in 2019 ? and will he need a conventional second ruck this year with the changed rules ? anyone going to the trainig in QLD ? how long since that happened ? Nathan Brown from the bulldogs ? or do we go back to the 70's ??? What am I looking forward to the most ? 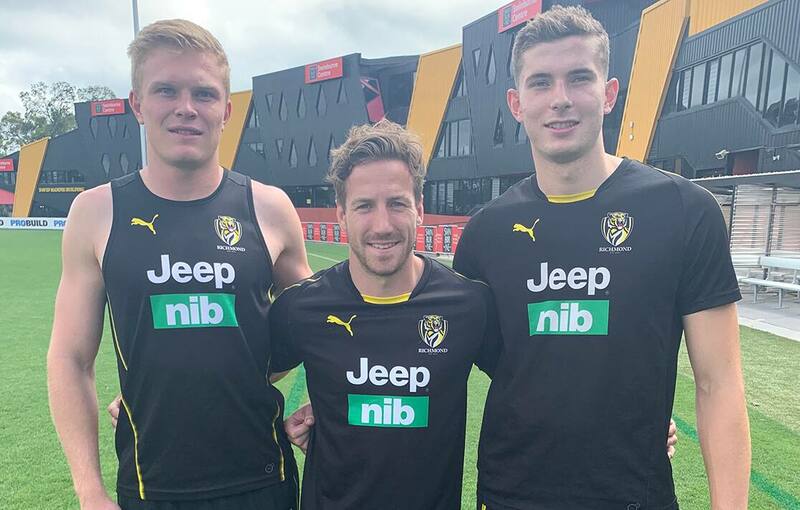 Richmond has re-signed premiership utility, Kane Lambert and two young key position players, Ryan Garthwaite and Callum Coleman-Jones. Lambert, 27, was runner-up in Richmond’s 2018 Best & Fairest and will remain at Tigerland until 2022. Exciting key defender, Ryan Garthwaite has committed to the Tigers until 2020, while developing ruck/key forward, Callum Coleman-Jones is locked in until 2021. Lambert, a skilful, quick, and hard-edged half-forward/midfielder began his journey with Richmond as a 23-year-old, recruited to the Tigers in the 2015 Rookie Draft. The 2017 premiership player has gone on to play 74 games and kick 43 goals so far in the yellow and black. Lambert averaged 22.5 disposals in season 2018, and was no. 2 at the Club for total disposals. Last season he booted 15 goals, his best haul across his four seasons of league football. Blair Hartley, Head of Player Personnel and List Management said Lambert is an asset to both the team and the Club.